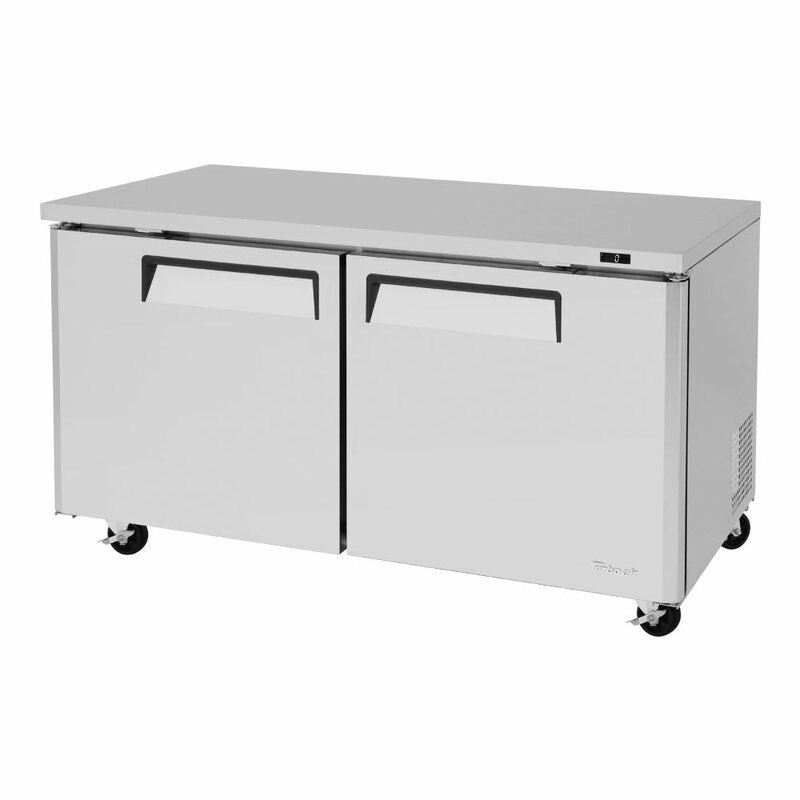 The Turbo Air MUF-60-N undercounter freezer has a self-contained refrigeration system, so it is easy to service each of the components. 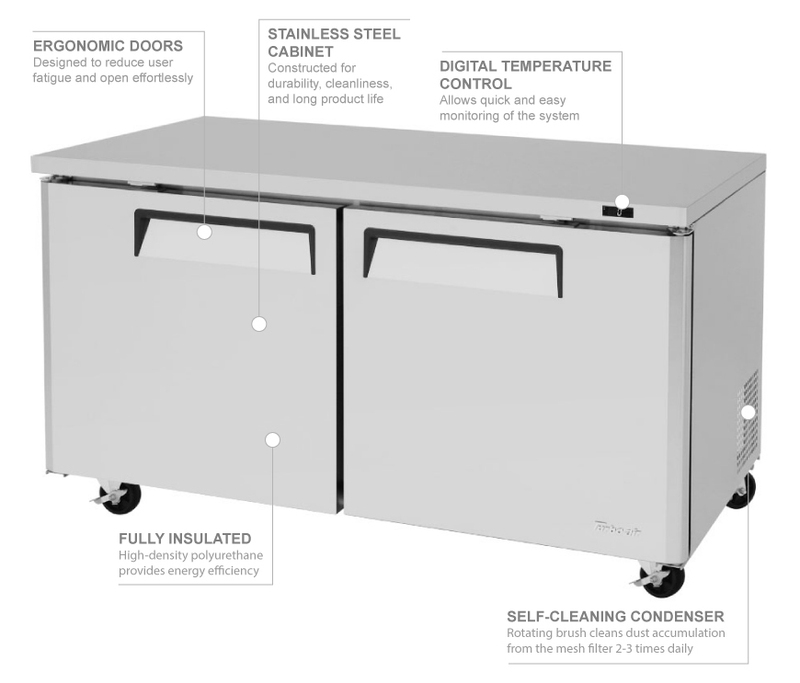 Temperatures in the cabinet stay between -10 and 0 degrees Fahrenheit with the help of R-290 hydrocarbon refrigerant, and a digital display allows operators to keep track of the temperature. To prevent malfunctions in the system, the condenser is automatically brushed two to three times daily to remove dust and debris. The 27-inch by 17-inch wire shelves can be used to store products of varying heights since the shelves are adjustable. The polyethylene coating on the shelves provides durability and corrosion resistance. The interior is durable and easy to clean because the floor is made of stainless steel, and the sides and back are constructed of aluminum. 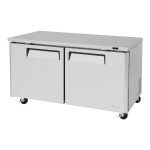 The doors of the Turbo Air MUF-60-N undercounter freezer feature ergonomic handles to assist users with accessing the interior; they also have a self-closing design to help keep cold air inside the cabinet.